Dao Lu is a Community Interest Company, so we have a board of directors. We also have many volunteers, for whom we gratefully acknowledge their contributions and help develop their capacity in learning and coaching. Aileen Hamdan is a Director and Lead Instructor, particularly for the provision of Dao Lu’s Tai Chi for girls and women. She has been training Chen Style Tai Chi under Shifu Browne, 34th generation disciple of Shaolin Temple, since 2008. She also has the BCCMA Level 3 coaching qualification. Aileen is passionate about promoting Tai Chi and its huge health benefits to groups such as older people, girls and women, and disabled people. She particularly advocates Tai Chi Fan as a tool to get more people engaged in training for a healthier lifestyle. Aileen teaches 5-8 sessions weekly including many pilot projects. She speaks and writes fluent Mandarin. Sankofa has been training with Dao Lu since 2013. She finds training in the open air a very spiritual experience, breathing in and out mindfully and having time to take in the beauty of nature and to learn to be aware of and control my body in motion, and when still. Sankofa says Tai Chi has been great for her coordination, memory, strengthening her immune system and boosting her overall sense of wellbeing. 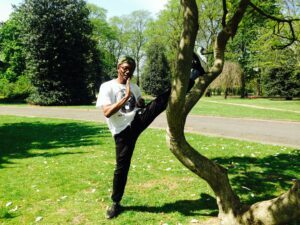 Read more about Sankofa’s Tai Chi journey so far. Aaron has been studying Tai Chi with Shifu Browne since 2009. Shifu Browne is a 34th Generation warrior disciple of Shaolin Temple China and studied there for many years. Aaron has been teaching Tai Chi since 2012 and teaches 3 regular classes a week as well as special sessions for older people. He has experience of Chen, Yang and Wudang Tai Chi and is proficient with stick, broadsword, straight sword, fan and ball techniques. He has a good knowledge of Qi and Qi Gong and is passionate about Tai Chi and Chinese culture. Joe trained in Chen Style Tai Chi and Kung Fu under Shifu Browne, 34th generation disciple of Shaolin Temple, between 2008 and 2013, and many other teachers before for other disciplines of martial arts. Joe is passionate about getting young people active. 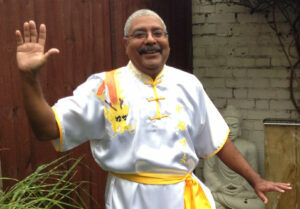 He teaches Tai Chi, kickboxing and other lessons at Dao Lu, YMCA and Age UK. Joe is also a personal trainer and a specialist in chair massage for head and shoulders. Marilyn has been training Tai Chi with Dao Lu since its set up in 2013. She feels that with Tai Chi she is learning various new skills while exercising – best of two worlds. Inspired by Dao Lu’s objectives and everyone’s hard work, Marilyn finds time in her busy life of running a small business to help our treasurer with bookkeeping using her professional bookkeeping skills. 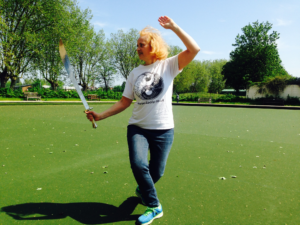 Read more about Marilyn’s Tai Chi journey so far. Danny is a Dao Lu student and volunteer. Danny has been training Tai Chi with Dao Lu since May 2015. She trains 3 sessions every week and helps run women projects at Dao Lu. Danny has truly benefited from Tai Chi by getting rid of her insomnia and constant tiredness. She is determined to practice and promote Tai Chi for the rest of her life. Danny also brings in her gardening and conservation skills and knowledge to the Dao Lu community. Read more about Danny’s Tai Chi journey so far. Berit was a director from 2013 to 2015. She has been interested in Chinese culture and language for many years and started studying Mandarin in 2002 in Shanghai. 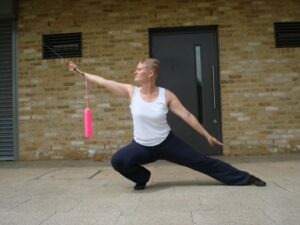 Berit previously practised Wing Chun and also worked as gym instructor for five years but always wanted to try Tai Chi. 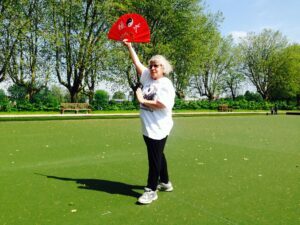 During the London Olympics in 2012 Berit attended a trial Tai Chi lesson in Lloyd Park organised by Aileen and loved it. Since then she has been training regularly (Chen and Yang style, broadsword, straight sword and fan) and also qualified as an assistant coach. Berit has been working with Aaron and Aileen on a number of projects for disabled and older people as well as families. 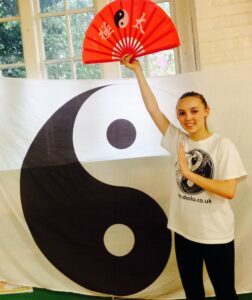 Rebecca started training Tai Chi with Aileen in September 2015. She found Tai Chi very useful to help her cope with the stress from exams. She was surprised that Tai Chi looked so easy but actually was very difficult! Her school mates sometimes laugh at her because she cannot help practising Tai Chi at lunch time in a corner! Rebecca is a very busy young person doing her GCSEs, but she tries to find time to help teach other young children at Dao Lu family projects. She enjoyed helping out and coaching because it helps build her confidence. 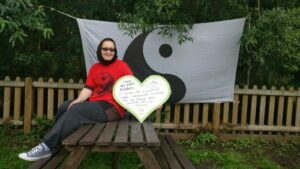 Read more about Rebecca’s Tai Chi journey so far. We are always looking out for people with passion, different talents and skills to join the Dao Lu Board and Team, working together to make small changes at one small step at one time to the local communities and beyond. Please contact us if you would like to have a chat with us.